CBM is an international development organisation whose primary purpose is to improve the quality of life of the world’s poorest persons with disabilities and those at risk of disability. 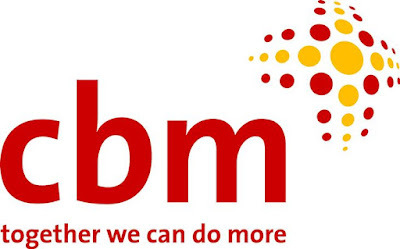 CBM works with partner organisations in low-income countries to develop and ensure that persons with disabilities and their families have ready access to affordable and comprehensive health care and rehabilitation programmes, quality education programmes and livelihood opportunities. Working with persons with disabilities, CBM advocates for their inclusion in all aspects of society, and for the inclusion of disability in international cooperation. Working as a member of programme team and reporting to the Senior Programme Officer – Inclusive Eye Health (IEH), the job holder contributes to the implementation of CBM’s country plan through performing daily management and development of current partnerships and projects in the IEH sector, especially cataract and low vision. This also involves providing input and recommendations on good development and good disability practice when necessary, in compliance with Regional/Country Office standard working procedures. Experience and understanding of Inclusive Eye Health (principles, needs, approaches, challenges) – will be an advantage? CBM is a child-safe organization. The future job holder adheres to CBM’s staff commitments and CBM’s Child Safeguarding Policy; he or she must be able to provide a certificate of good conduct or equivalent. Applications not fulfilling these requirements will not be considered. Deadline for applications is 18 July. Interviews will be held between 23 – 25 July 2017 to join CBM Country Office on 1 Aug 2018.